Nissan has launched the Evalia MPV at an attractive starting price of Rs.8.49 lakh. However, if the Evalia is to actually leave its mark in India’s MPV segment, it has to effectively take on the Mahindra Xylo. The Mahindra Xylo may be an old player but it too got a facelift very recently. We compare the Xylo with the Evalia in terms of price, looks, performance, space, comfort and features to see if the Evalia has the potential to give the Xylo, a run for its money. So while the base variant of the Xylo is priced almost Rs.1 lakh lower than the base variant of the Evalia, the top-end variant of the Xylo is priced Rs. 52,000 higher than the top-end Evalia model. The base Evalia is still more value for money as by paying the Rs.1 lakh premium you are getting ABS, EBD and 2 airbags. The Evalia has a very practical design that allowed Nissan to create more space on the inside. The unconventional front design, the angular front lamps and large glass area help break the monotony of the otherwise boxy design. The Evalia has sliding doors which is a practical option for a people mover and will allow passengers to get in and out of the car with ease. Sadly the windows in the rear do not open completely are butterfly type pop-out glasses. At the rear the Evalia is squared off and huge looking and the tail lamps are set a tad low. The Evalia is not an extremely good looking car but the Xylo is not exactly a beauty contest winner either. The Xylo sports a redesigned front grille with blacked out vertical slats and a redesigned front bumper with wide fog lamps housing. The refreshed head lamps look sharp but fail to give it a classy appeal. Overall we can only say that both the cars have unique styling. 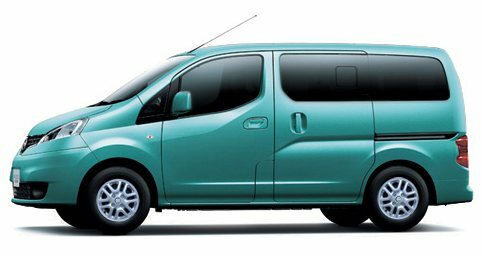 While the Xylo has a sportier design when compared to the Evalia, the Evalia has a tame old school MPV van like appearance with a bit more zing. The Nissan Evalia is powered by a 1.5 litre K9K diesel engine that makes 84 bhp of power and 200 Nm of torque. It is mated to a five-speed manual transmission and is a front wheel drive. The Xylo comes with three diesel engine options. One is a 2,489cc engine that makes 95 bhp of power and 220 nm of torque. The second is also a 2,498 cc motor that belts out 112 bhp of power and 260 Nm of torque. And the top-end variant, the Xylo E9, comes with a 2,179 cc diesel engine that puts out 120 bhp of power and 290 Nm of torque. So in terms of pure power the Xylo has an edge but the way it actually handles isn’t at par with the Evalia because of its poor handling. The Evalia may seem weak on paper but the ride quality is much better than the Xylo. There is next to no body roll on the Evalia, while the Xylo wallows and sways quite a bit. Torque in the Evalia comes in very linearly and power is available from as low as 1,000 rpm. In terms of ride and handling the Evalia is easier to drive around in traffic even with its large dimensions. Overall, even though the Xylo has more power the Evalia performs better. 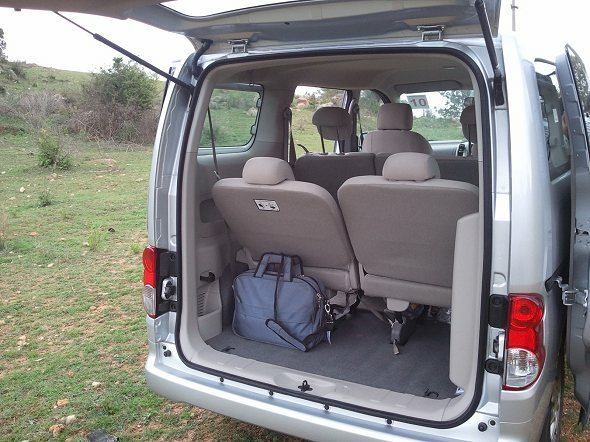 The Xylo is a spacious vehicle with good legroom and headroom for all the three rows. Even tall passengers won’t complain in the Xylo’s third row of seats as far as headroom is concerned. The Xylo is available in both 7 and 8 seat configurations. The Evalia manages to better the Xylo in terms of space and comfort. It comes in a seven seat configuration arranged in the 2+3+2 pattern. The Evalia offers slightly more space than the Xylo especially in terms of legroom. With all the three rows of seats occupied, the Evalia still has slightly more luggage space than the Xylo. Space is the Evalia’s USP and it wins over the Xylo in terms of overall comfort as well. With its better handling and ride quality the Evalia is the better of the two in terms of comfort. The top of the line Evalia comes with AC, 2 power windows, adjustable seats, central locking, power steering, tilt steering, tachometer, ABS, EBD, 2 airbags, music system (single CD) with 4 speakers and a phone charger. 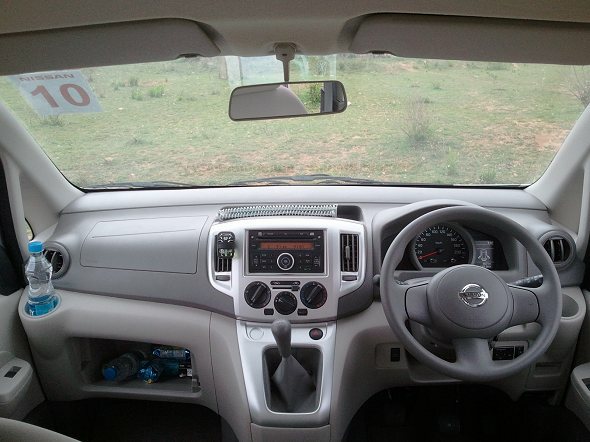 The Xylo offers AC, 4 power windows, adjustable seats, cruise control, power steering, rear defogger, ABS, EBD, 2 airbags, steering mounted audio controls, a music system (DVD based) and a phone charger. Also read: Which is the most popular MPV among Ertiga, Xylo and Innova? The Xylo offers other interesting features like reverse parking sensors, voice controls etc. Overall the Xylo offers more features than the Evalia and if features are your priority the Xylo wins the race by a long shot. Both the Xylo and the Evalia offer excellent space and comfort, but the Evalia has an edge in terms of fuel efficiency, handling characteristics, ride quality and space. The Xylo scores in terms of features and affordability. Evalia’s real USP is space which is backed by good mileage and build quality. It’s milkvan looks reduce its appeal somewhat-so if that not bother you, then it is an excellent buy. « Top 6 unsafe driving habits: How not to drive!